Hypothyroidism refers to a condition where either your thyroid gland fails to produce enough hormones or your body is not processing the hormones sufficiently. Alternately, hyperthyroidism is a condition where your thyroid gland produces too much thyroid hormone. Both hyper and hypothyroidism can cause extreme disruption to your body’s homeostasis. These conditions can lead to numerous serious health problems such as pain, obesity, heart disease and infertility. Though myxedema is not life threatening, it can be debilitating. It is a condition of hypothyroidism characterized by swelling and thickening of the skin. The symptoms include depression, weight gain, lethargy, fatigue and cold sensitivity. The affects on your cardiovascular system can be the most worrisome symptoms of thyroid disease. 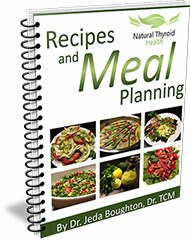 Thyroid hormones are essential for normal cardiovascular activity. Therefore, when you have low levels of thyroid hormone, your blood vessels and heart do not function normally. Your heart muscle becomes weak and can struggle or pump more slowly. This dysfunction can lead to extreme circulatory insufficiency, hypotension (low blood pressure), enlarged heart and even heart failure. Since this condition is caused by excess of thyroid hormone, the amount of oxygen you require increases rapidly and your heart is overworked. This increased metabolism raises your heart rate and your tissue can begin to atrophy. This includes the potential weakening of the muscle of your heart. Hyperthyroidism can also stiffen your blood vessels and cause hypertension. A Thyroid storm is a condition that occurs when the thyroid gland suddenly releases large quantities of thyroid hormone. This crisis can be a life threatening event causing symptoms such as a racing heart, extreme fever, disorientation, shortness of breath, chest pain and heart failure. Thyroid storm most often occurs in people with untreated Grave’s disease. Because the symptoms of thyroid imbalance can be so extreme, do not assume that this disease will correct itself without treatment. Over time, an inconsistency in thyroid hormone can cause damage that is irreversible. The most common treatment for hypothyroidism is thyroid hormone replacement. For hyperthyroidism, medication or the destruction of the thyroid gland are the two common conventional treatments. However, these don’t necessarily resolve extreme thyroid symptoms. Therefore, many people turn to natural medicine to help reduce inflammation and get to the root cause of their illness.